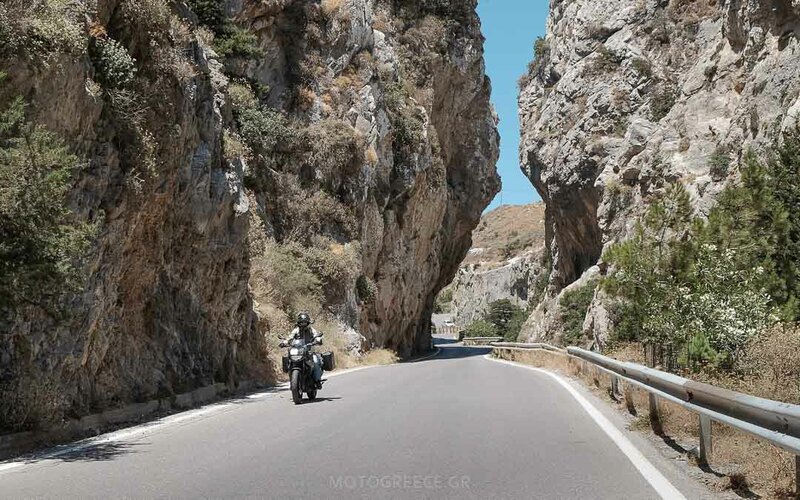 Discover Europe’s best destination for 2018 as voted by the TripAdvisor community by taking our Motorcycle Tour of Crete. This tour is a balanced mix of easy riding, cultural experiences and vacations! 12 days in total. 7 riding days, 3 rest/free days with options to ride and 2 days accounted for your arrival to and departure from Greece. Aprox. 950 kilometers (~ 600 miles). Daily rides: 100 – 230 kilometers. Boutique hotels and a mountain eco-lodge retreat. Easy for most riders. Please read here about how our tours are graded! 100% paved. A large amount of this tour runs on country roads, some are narrow and ask for a slow pace. No highway riding included. Map of tour coming soon. Graphic design in process! Knossos palace, the center of one of the most advanced ancient civilizations, the Minoans, dating back to 17th century B.C. the town of Heraklion with the fortifications from 12th-14th century when the Venetians ruled the region. 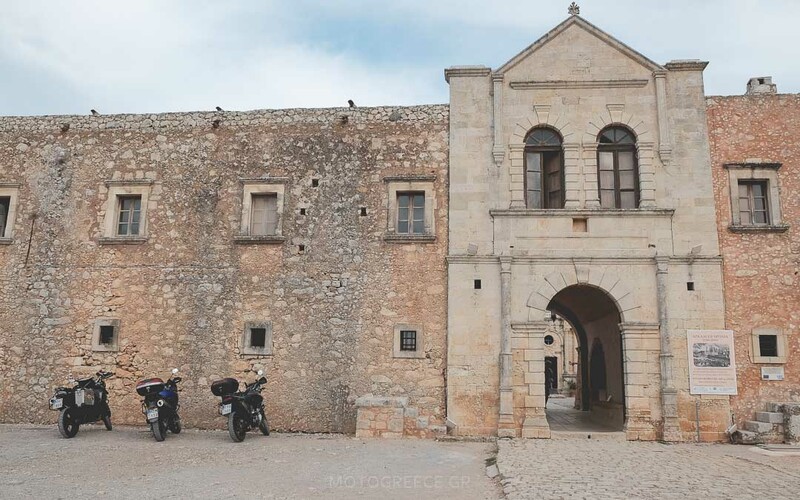 the Monastery of Arcadi, a symbol of the Greek revolution against the Ottoman empire. stand in front of the oldest living olive tree in the world, aged more than 3,000 years old ! the old town of Chania, with its romantic atmosphere dating back to the Venetian era. a 2-day immersive experience in an eco-lodge retreat in the heart of the White Mountains area, south of Chania. Experience authentic cretan gastronomy to the fullest, by actively participating in the preparation and cooking of your meals. Taste organic wine and extra virgin olive oil. Visit a honey bee garden (protective gear provided). 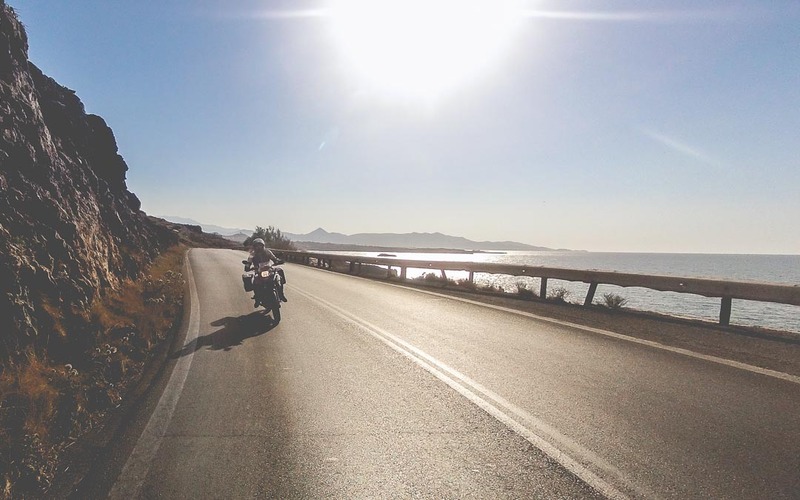 Ride along the south rugged coastline and gaze the endless horizon to the Libyan Sea. You will be riding nearly at the southernmost edge of the European continent ! 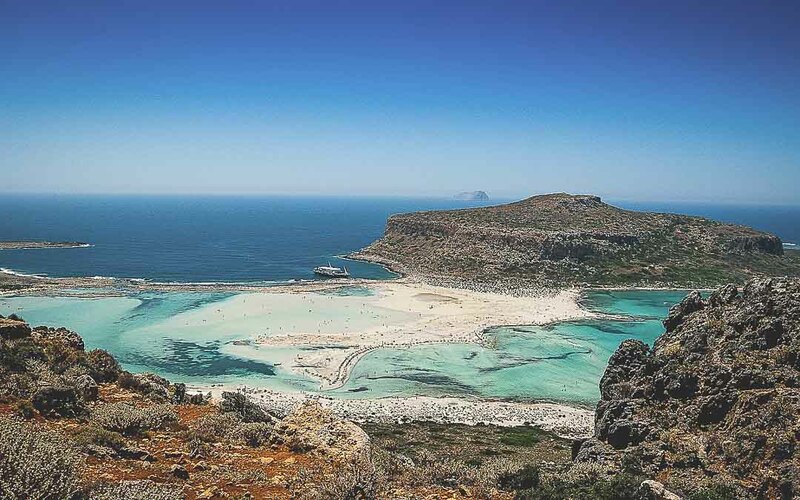 Elafonnisi, a paradise beach, rated among the top 10 of the world. If you are lucky, depending on weather conditions, you will witness the sand turning pink! This tour includes a balanced mix of country & provincial roads, all paved. For the most part, the routes are full of twists and run in the countryside of the island, where average speeds of 50 kilometers per hour (~ 3o miles/hour) are expected. The kilometers covered per day are not much, giving you plenty of space to ride relaxed and enjoy the scenery and the places visited. Day 1: Arrival to Heraklion. The city deserves a day, to be discovered. We visit the archaeological museum which is considered among the most important of its kind, with exhibits mostly from the era of the Minoan civilization (17th century BC). We will also visit the ruins of the palace of Knossos, the center of the ancient Minoan civilization. The venetian fort of “Koule” at the harbor entrance is another important stop. 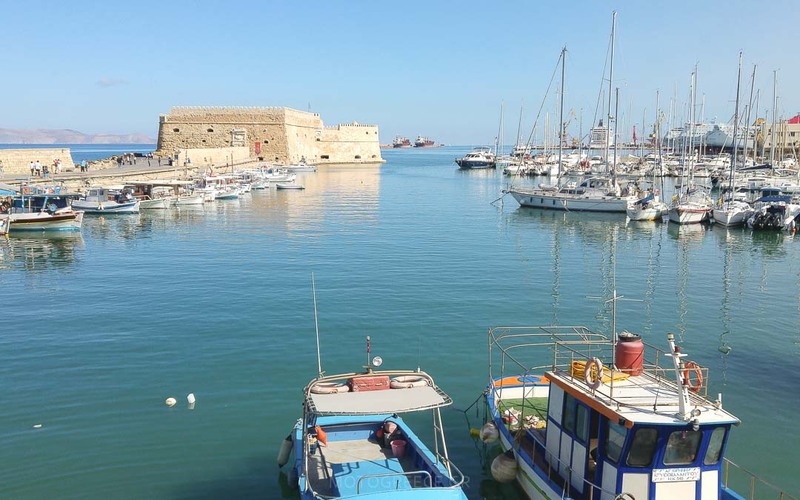 Day 3: Heraklion – Agios Nikolaos. We ride to the east regions of the island. 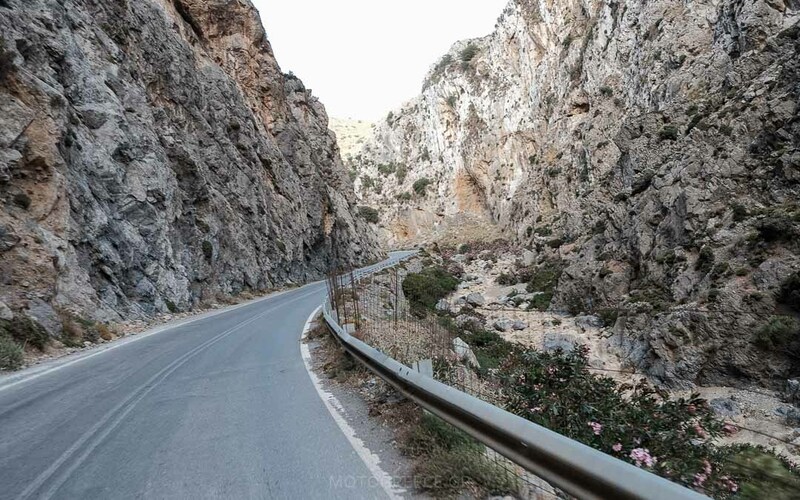 First we pass over the plateau of Lasithi, following a scenic mountain route that will make a perfect apetizer for the rest of the riding days of this tour. En route we stop by the site of the Dikteon Cave (or Dikteon Andron or Dictaean Cave), one of the most important and famous of the 3,000 caves in Crete. It is in the impressive Dikteon Cave, rich in stalagmites and stalactites, that Zeus was born according to legend. This is why it was already famous in antiquity, dedicated to the worship of the greatest of the gods, as the many offerings found there indicate. 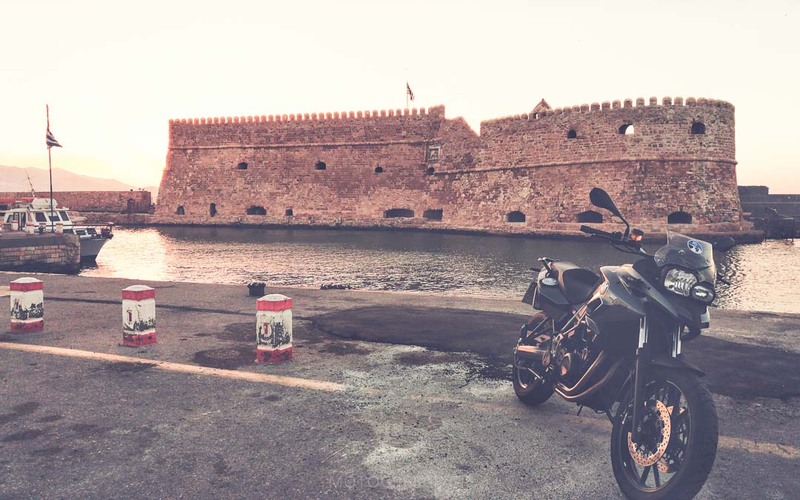 We continue our ride to Agios Nikolaos, a charming little town by the sea. 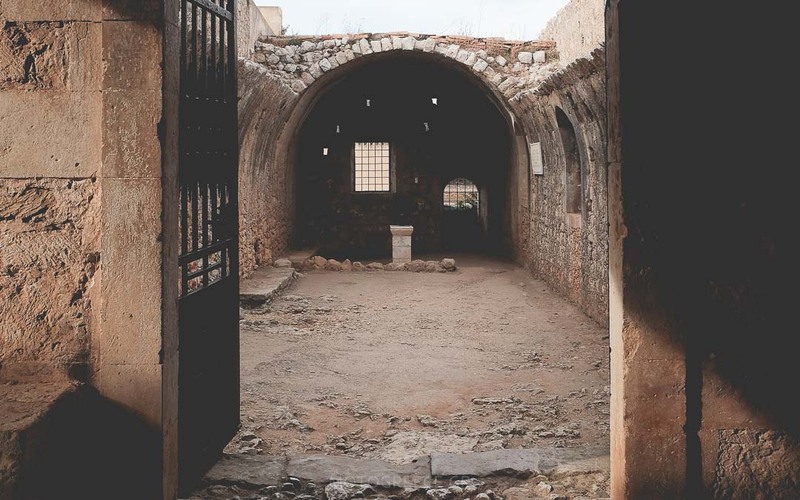 We also visit the nearby location of Elounda and Plaka, from where we take a boat ride to the island of Spinalonga, a place of martyrdom and exile for the lepers of the 50’s. We ride southbound and then head to the west. 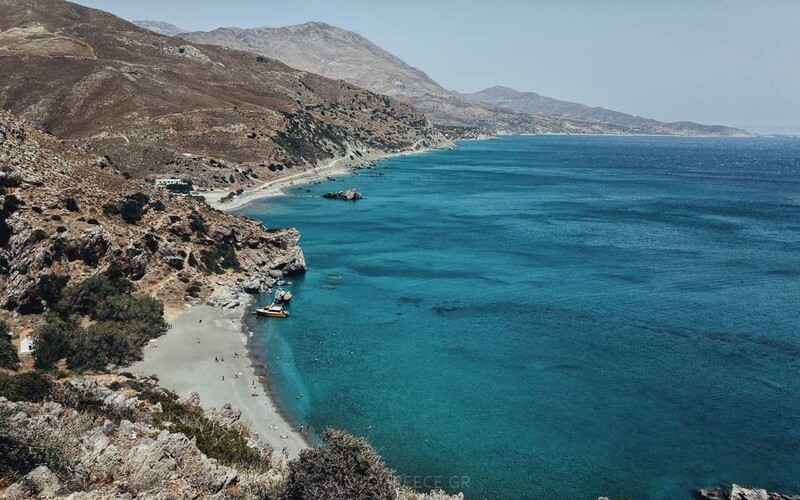 The route combines a coastal ride on the arid south side of the island, then we pass through the Asterousian mountain slopes and the southern slopes of mountain Psiloritis, where the tallest summit of Crete is located. 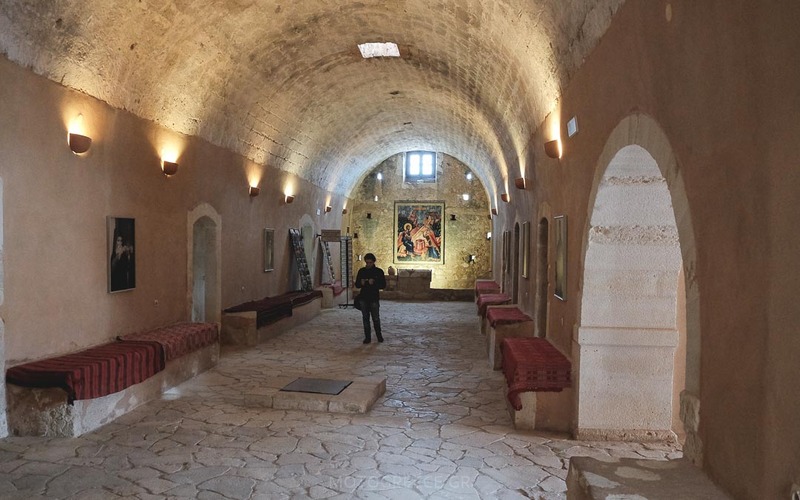 En route, we visit the historical site of the Monastery of Arcadi, where a greek pocket of rebels fought and resisted the Ottoman empire’s forces. The site is famous for the last stand of the fight, when the rebels and the monks were closed in the gunpowder storage building and they all died after it exploded. 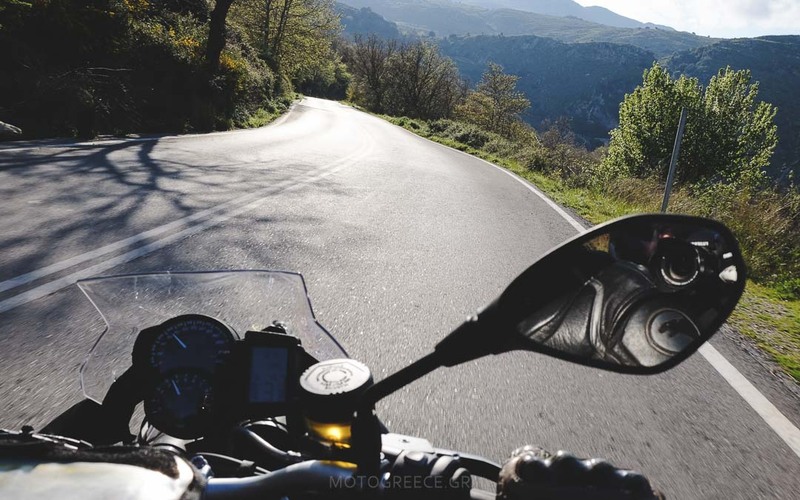 We do a U-shaped ride, going all the way south to the magnificent coast of Frangokastelo and its beach, passing through a scenic route in the gorge of Kourtaliotis. We then turn northbound, until we reach the city of Chania. The old district, dating back centuries ago to the times that the Venetians ruled the area, is considered one of the most beautiful in Greece. The old town deserves your time. Walk on the cobble stoned streets and take in the atmosphere of this old Venetian harbor. As we head west, we visit the village of Vouves where a wonder of nature stands: the oldest living olive tree in the world. It’s more than 3,000 years old and it still yields olives! Depending on weather conditions we will have the option to take a boat ride to the exotic peninsula of Gramvousa (cost not included in the tour price). 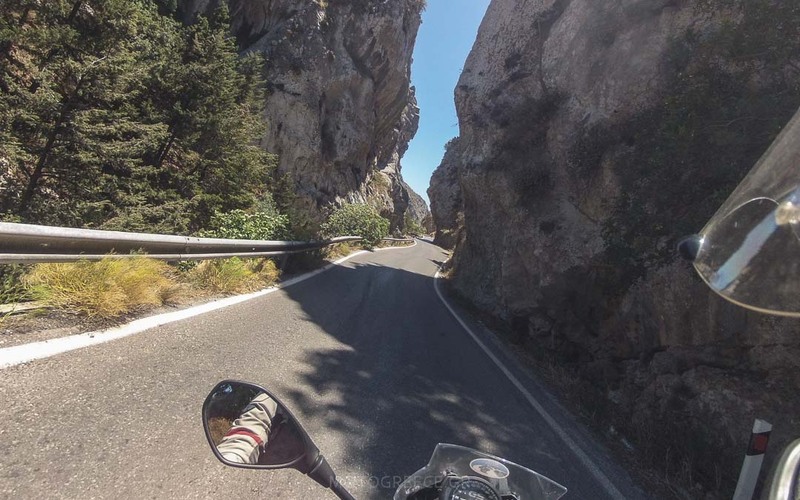 Then we ride south, over twisty mountain roads until we reach our destination, an eco-lodge retreat in the heart of the Lefka Ori (literally translated as White Mountains). It is an exceptional time to immerse yourself in this eco-lodge experience. Tranquility and peace of mind are the words of the day. Also you will be actively participating (with guidance from the retreat’s chef) in the preparation of your meals, learning secrets of the Cretan diet. 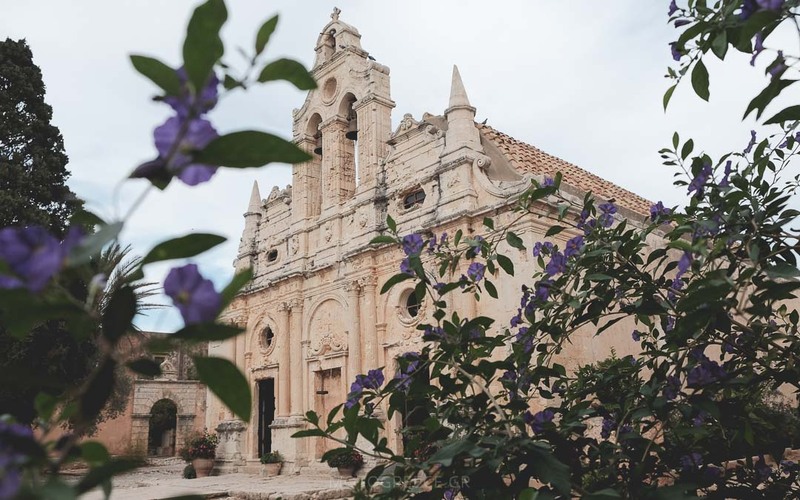 Using the local organic products and indulging in organic wine tasting as well as experiencing the extra virgin olive oil of the island is a memory you will keep for ever. The beach of Elafonissi, located in the south coastline, is considered among the top 10 in the world. Once you see it, you will know why. Crystal clear, turquoise water, and a fine thin sand, the colors of which turn pink if the weather conditions allow it. There you will swim (if you are ok with the cold revitalizing sea water) in the Libyan Sea ! That’s right, across the horizon lies Libya. Legends have it, that with ideal atmospheric conditions, you can barely see a faint line which is the coastline of Africa (we have never seen it, truth be told!). Day 10 : Milia, rest day, with eco-tourism activities. Today’s schedule includes a visit to a local honeybee garden. Ιn situ presentation of the beehive and the special handling of the bees (protective equipment provided). We taste thyme honey and pollen and enjoy the most healthy brunch; local herb tea with honey, sesame bar with honey, rakomelo (honey based alcohol shot) and season fruit. We continue with a visit at a local Winery and Olive mill. We have a tour around the facilities while we learn about the charming process of winemaking and olive oil. We taste authentic wines and extra virgin olive oil with a snack. Back at the retreat for the evening, we start all together the preparation of the Cretan style barbeque. We taste the local meat with cretan style fried potatoes, fresh seasonal salads, homemade mustards and local bottled wine. 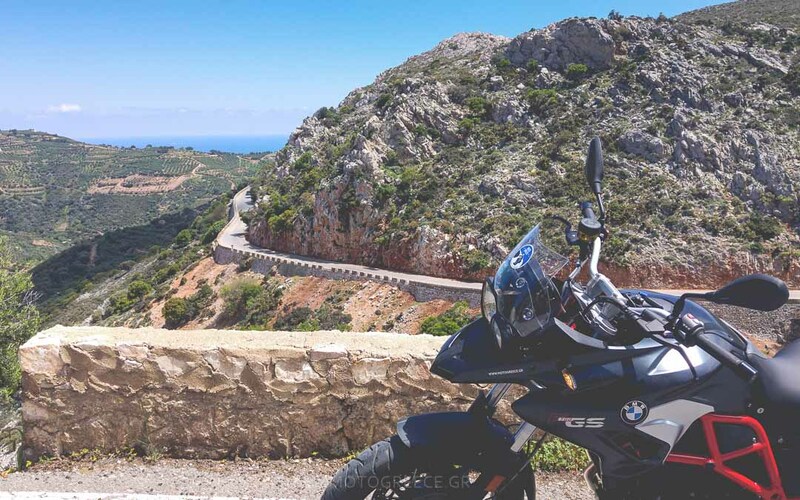 Through narrow winding mountain roads, we reach the north coastline of the island and then we ride until the city of Heraklion, where we end our tour. We renew our appointment for a few hours later, when we have a farewell diner late in the evening. We suggest that you make arranges for departure on day 12, so that you will have an easy-going return to the end point of the tour. Deadline for submitting your booking : 30 May ! – the cost of the optional boat ride to the Gramvousa peninsula (availability depends on weather conditions). CLICK HERE TO BOOK THIS TOUR ! Your available days are less than 12? We can adjust the tour to fit your preferences. Add or remove days, see more destinations, or ask for different dates! Perhaps you feel that you don’t need the services of a support car and wish to do the tour without one to lower the cost?